If you are reading this obituary I've run across the rainbow bridge into the arms of my Heavenly Father. While I'm sad to leave my humans I'm excited to receive my new body free of pain and worldly concerns. God gave me a wonderful life on earth. I was privileged to have many experiences other animals never get. I traveled as far north as Vermont and as far south as Florida during my 10 1/2 years. I walked the halls of hospitals, nursing homes, and other places encouraging those who were hurting and encouraging them to seek healing emotionally, physically, and spiritually as a therapy dog. During my time as a therapy dog, I served along side other furry friends as a member of Therapy Dogs and Associates, as well as being the first dog ever certified to go into Central State Psychiatric Hospital, Petersburg, Virginia from the outside world. I was invited to festivals, into stores, and restaurants. I published articles in a small newspaper in Virginia and enjoyed many years blogging. My furry body has been published in several Brown and Trout Alaskan Malamute Calendars including the new issue for 2016. I am May! My most important job while on earth was being a member of the Perdue Zoo where I tried my best to keep my mom sane and safe. That was a mighty big job. I know she is going to have a tough time for a while. She promised me she would be okay. I gave her a look of doubt with my big brown eyes. She then told me she would "try" to be okay. I know God will see her through; He is faithful. However, I would ask that you extend both my mom and dad lots of grace as they grieve. Sweet Sitka, I am "paw-sing" a moment to honor your life and mourn your passing. Your biography speaks volumes about your impact on those who knew you. I regret I am not one of them. You are most definitely a large dog with an even larger heart! Go rest high where I'm sure there are woods, fire hydrants, rawhide and so much more in abundance. So sad. I know how much you and Doug loved Sitka. What a very special tribute to a very special dog and the humans who loved him. This brought tears to my eyes and a sigh to my heart. The peace of knowing that Sitka is no longer in pain .... the sorrow of not having him close, with the kind of love only a fur baby can provide. I believe God uses these animals to show us humans how to love .... unconditionally, faithfully, with grace and mercy in the face of both our strengths and our shortcomings as people. She did a wonderful service to so many! You were blessed!!! I'm crying. I know how very much you loved Sitka!! Praying comfort for the Perdue Zoo. Oh Andrea, I am so sorry! Hang on to all those wonderful memories! Sitka was beautiful and have enjoyed reading the blog! 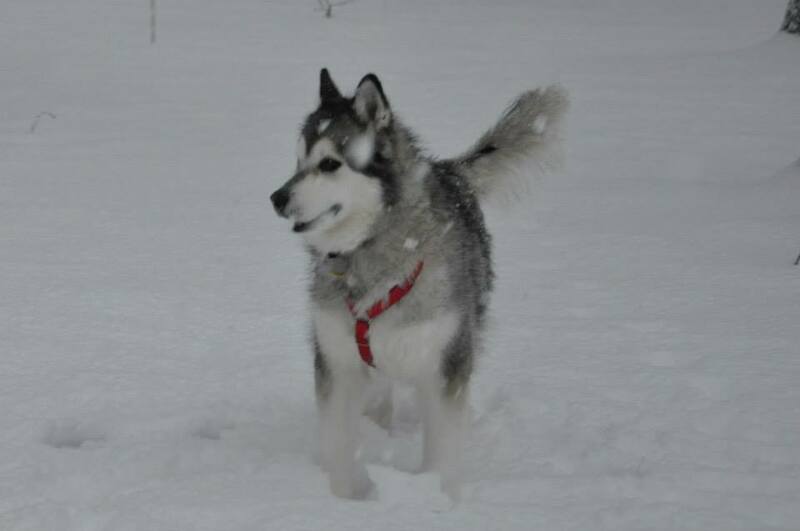 RIP Sitka! Praying for you and your husband! So very sorry for your loss. I can't imagine the huge hole in your heart. Sitka was a wonderful companion and good friend to so many of us in blog vile. May Peace and grace cover you! Andrea, I'm heartsick for you and Doug. "I'm sorry" seems awfully inadequate, but please know (that) there are legions of us praying for your peace. Andrea, my heart broke when I read this! What an amazing life he had--God has such a great purpose for these wonderful friends in our lives....and his story doesn't end. My parents lost their "Koda" just days before Thanksgiving-- words fail to express my sorrow for you. Praying for you--for peace as you go through the next weeks. Gail Dumblauskas to Andrea & Doug it saddens me that I never had the opportunity to meet & get to know Sitka. Reading her story brought tears to my eyes & pain to my heart. I am so sorry for this huge loss in the Perdue zoo. It will never be the same.. Hugs & prayers for all. Good dog, Sitka. If you see a Scottie and a Schnauzer around, they're my Kipp and my Schatz. I can barely see through the tears to write this. Sitka was a beautiful light in this sometimes dark world. I will never forget my sweet fur baby friend, never. So very sorry for your loss, sending you love, prayers, and great big hugs Andrea. I am just seeing this after being away from blogging for two years (long story, mostly related to hijacked sites). So sorry for your humans; I am sure they miss you terribly. I know that you are bringing happiness, though, to new friends in your new home and that you are still watching after Mom and Dad. We thought of you today and wanted to stop and paw love and respect.